First impressions are important and your parking lot is the very first thing visitors see. It may seem like a simple process but the layout of an effective and attractive parking lot requires a skilled professional who understands the key elements of parking lot design. Things to take into consideration include parking space widths, these should reflect the mix of vehicle types and meet or exceed minimum requirements. Also consideration must be given to the appropriate number of handicapped accessible spaces, fire lanes (if required), pedestrian walkways, drive aisle widths and correct use of color. 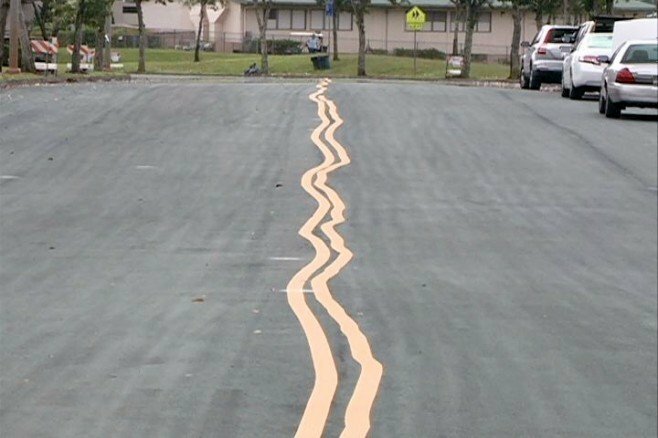 Properly applied pavement striping is the most durable and cost effective traffic control measure available. Rejuvenating your lines is important for drivers. Faded lines make it difficult for your customers to park and can create haphazard parking which results in losing valuable parking space. 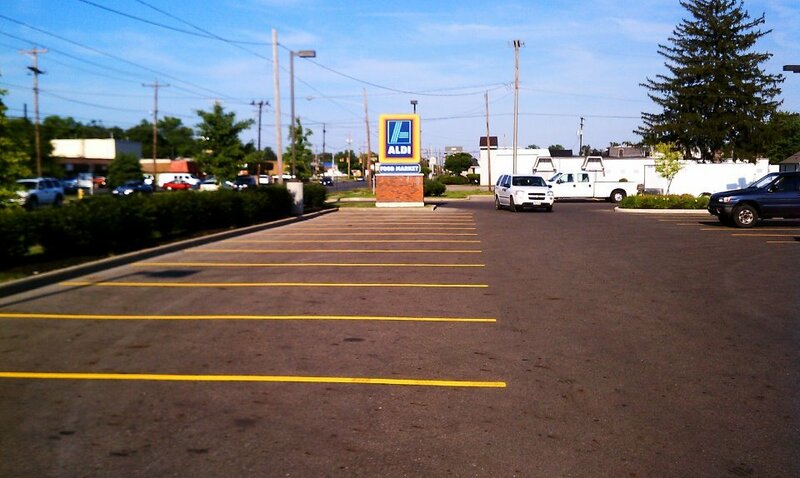 The images on the left show just some of the recent parking lot striping work we have done.